... 1921 (90 years ago today), Mary Ellen Spear Smith (right), an English-born onetime schoolteacher who'd immigrated to Canada 30 years earlier, was sworn in as Minister without Portfolio in the government of British Columbia. She thus became the 1st woman cabinet minister in the British Empire. 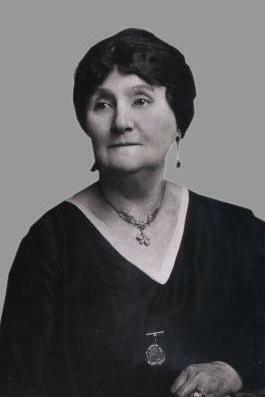 Three years earlier, Smith had become the 1st woman Member of the Legislative Assembly by winning a by-election to replace her husband, who'd been Finance Minister in the Liberal government. (photo credit) A suffrage leader and executive in the Canadian Red Cross, she'd run on the slogan "Women and children first." Spear Smith was re-elected in 1920 and again in 1924, was a proponent of first Mothers' Pensions and Female Minimum Wage Acts, and became the 1st woman Speaker in the British Empire. In 1929, she served as Canada's delegate to an International Labour Organization conference in Geneva. She served as President of the Liberal Party of British Columbia until she died in 1933.